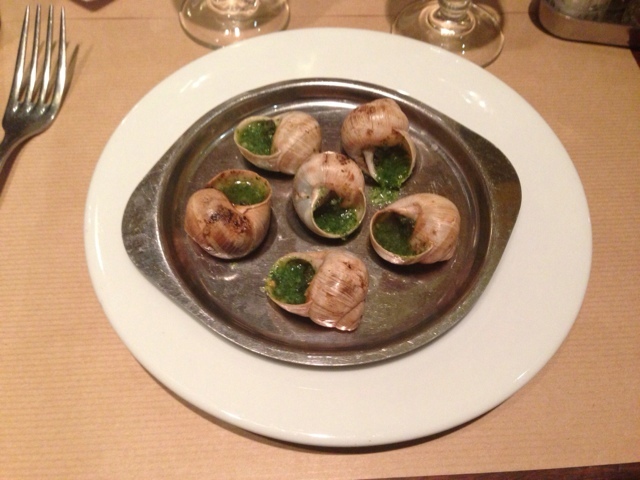 Dining in Paris on a budget is tricky. We were staying at the Park Hyatt Vendome, which while in an amazing location, seemingly lacked nearby budget friendly dining options. 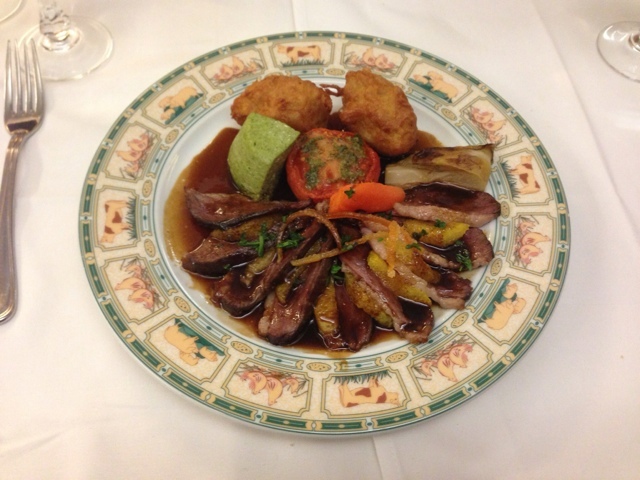 As mentioned in part 1 we chose to rely mostly on trip advisor reviews when choosing dining options. I was generally happy with this approach to choosing restaurants. One of our better meals of the trip however was discovered by chance while wandering around as the restaurant we had planned on going to was booked solid for the evening. This was a small family run restaurant located on a quiet side street. We got there just as they were closing up, but since we had reservations we were welcomed in. Everything was made fresh to order and the kitchen was located right next to the dining room. I had a pork shoulder that was slow cooked served with root vegetables. 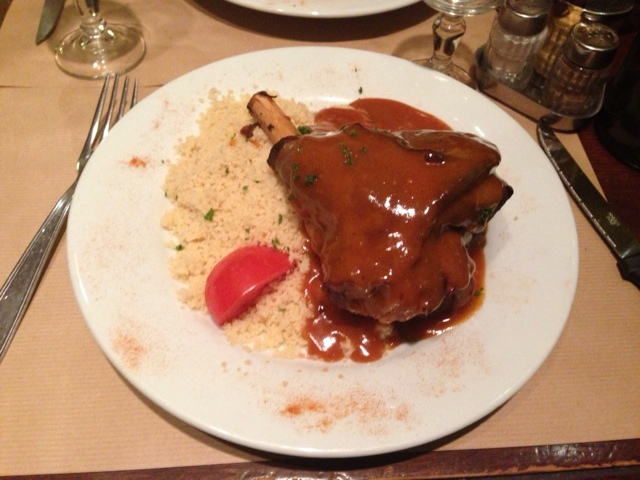 The pork was amazing, it was so tender. My girlfriend had plaice served with a dill sauce and fennel. This was very good as well, but not as delicious as the pork. If you go here i would recommend reservations as the dining room is very tiny. Dishes were around 20euro. This is somewhat of a theme restaurant. 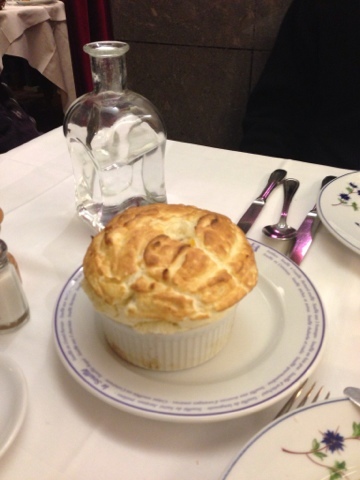 If you couldn't guess by the title, the speciality here is the souffle. 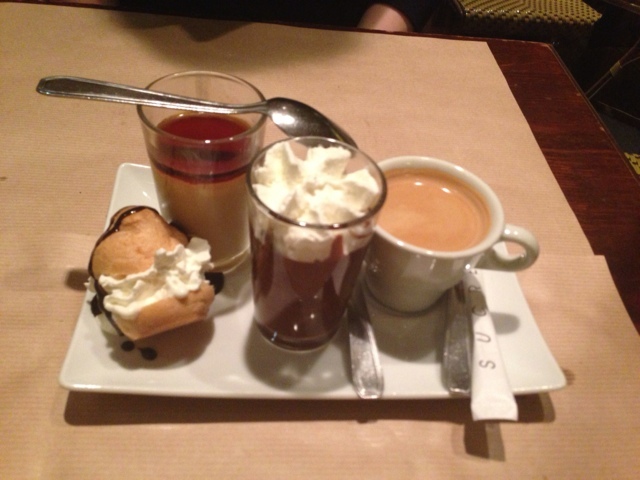 My girlfriend had the 3 course souffle special consisting of an appetizer, main and desert souffle. 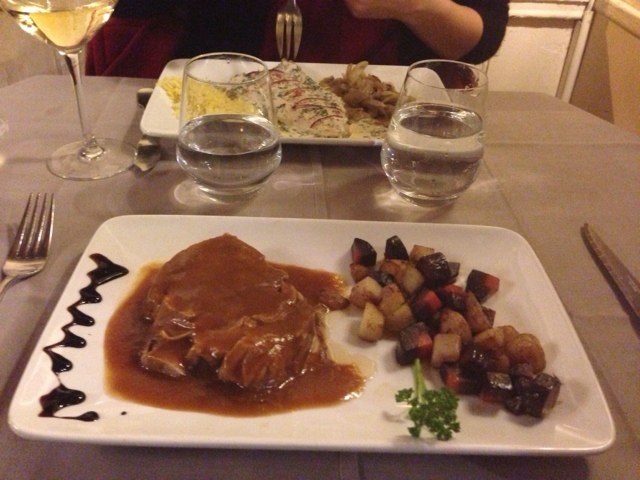 The app was a smoked herring, the main was chicken with gravy and the desert was chocolate. I thought it was an interesting idea and the souffles were very good, but not great. I ended up getting roast duck. I'm not the biggest fan of duck but i figured I'm in France, so i might as well. 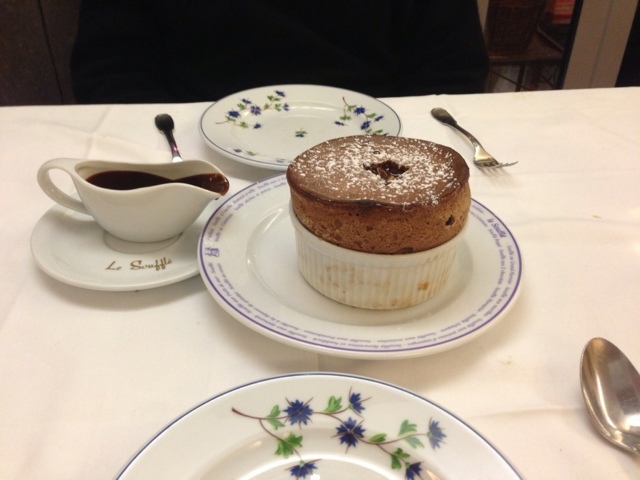 It was decent, but the souffles were better. Prices were around 20euro. We stumbled upon this place after our first choice restaurant was full. Rather than stick to what trip advisor said we decided to take a stroll and stop in wherever seemed crowded. I thought the food here was very good. 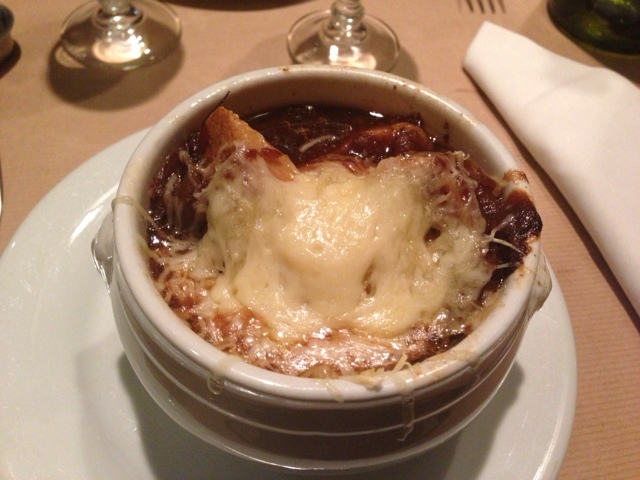 we has escargot, lamb shank with Moroccan spices, onion soup and a fancy little desert platter. 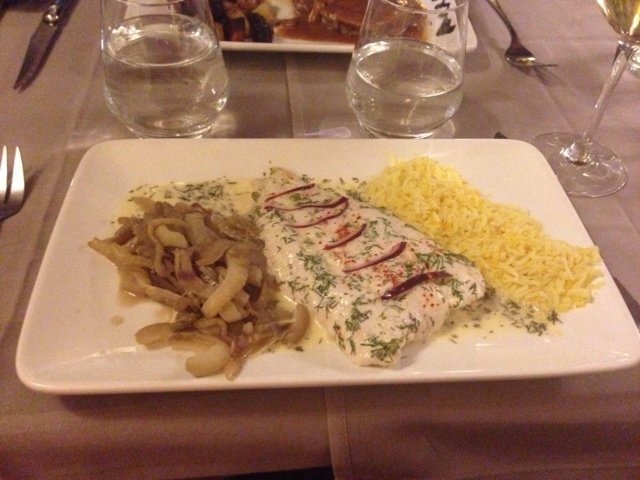 Prices here were around 15euro for mains and were a good value considering the large portion sizes.